Mena Regional Health System is a patient focused team of healthcare professionals providing local access to compassionate healing, quality care and education with a hometown touch. At MRHS, we offer a diverse compliment of inpatient and outpatient services to the communities of Polk County, Western Arkansas and Eastern Oklahoma. Inpatient services include; acute care medical/surgical services, a six bed ICU, labor and delivery, a 12 bed geriatric psychiatry unit (Mena Senior Behavioral Health Center) and a 12 bed acute care physical rehabilitation unit (Mena Rehabilitation Center). Outpatient services include; Ouachita Rehabilitation Center, dermatology, cardiology, ophthalmology and otolaryngology clinics. 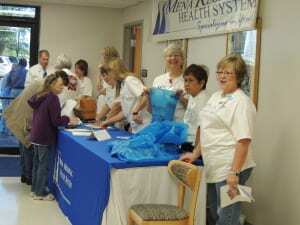 Mena Regional Health System is accredited by the Arkansas State Department of Health and the Center for Medicare and Medicaid. Located in the scenic Ouachita mountains, MRHS provides state of the art equipment in an effort to provide excellence in patient care and has been the recipient of several awards for quality service. In 2013, MRHS received the honor for Most Improved in Patient Care. Tim Bowen, CEO, local healthcare providers and our coworkers thank you for entrusting us to care for your medical needs. At Mena Regional Health System, we specialize in you.